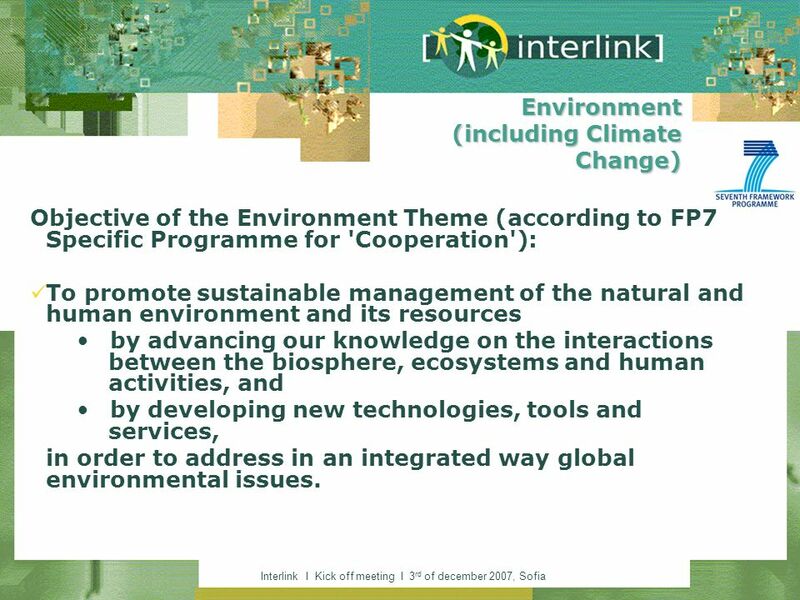 9 Interlink I Kick off meeting I 3 rd of december 2007, Sofia Environment (including Climate Change) Objective of the Environment Theme (according to FP7 Specific Programme for 'Cooperation'): To promote sustainable management of the natural and human environment and its resources by advancing our knowledge on the interactions between the biosphere, ecosystems and human activities, and by developing new technologies, tools and services, in order to address in an integrated way global environmental issues. 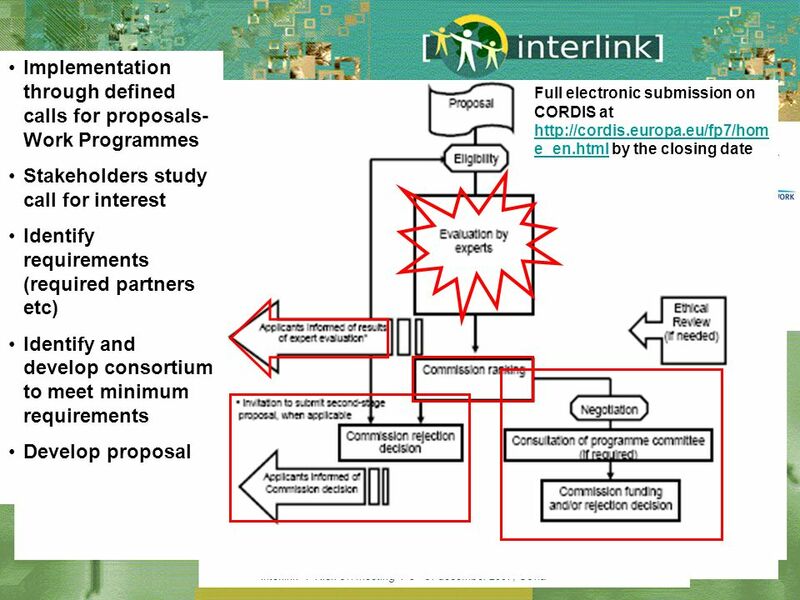 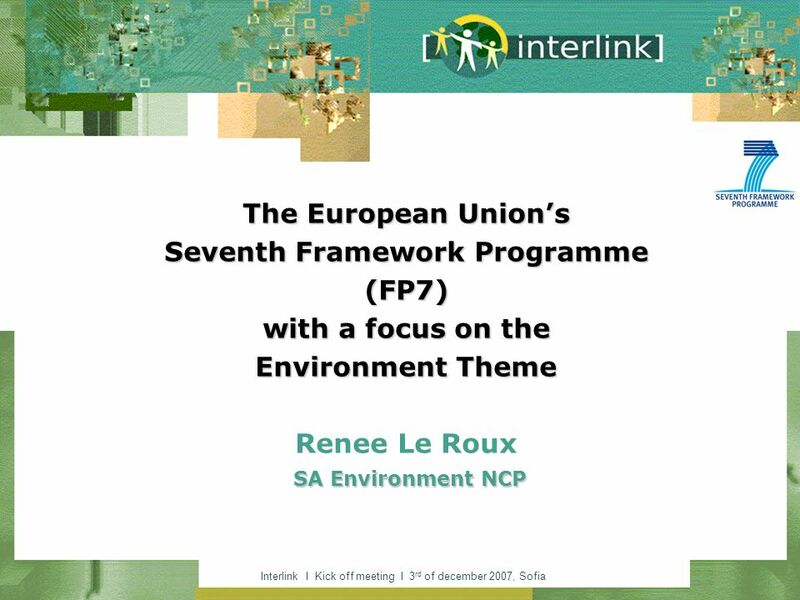 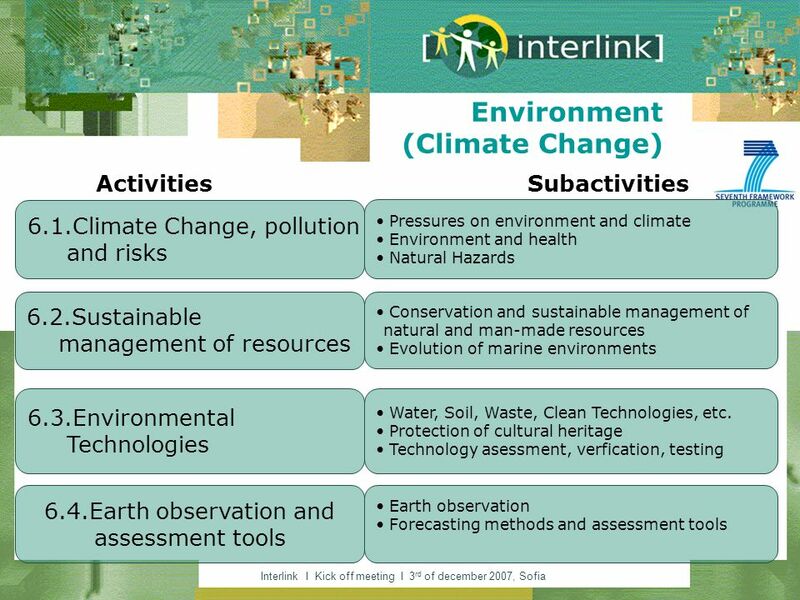 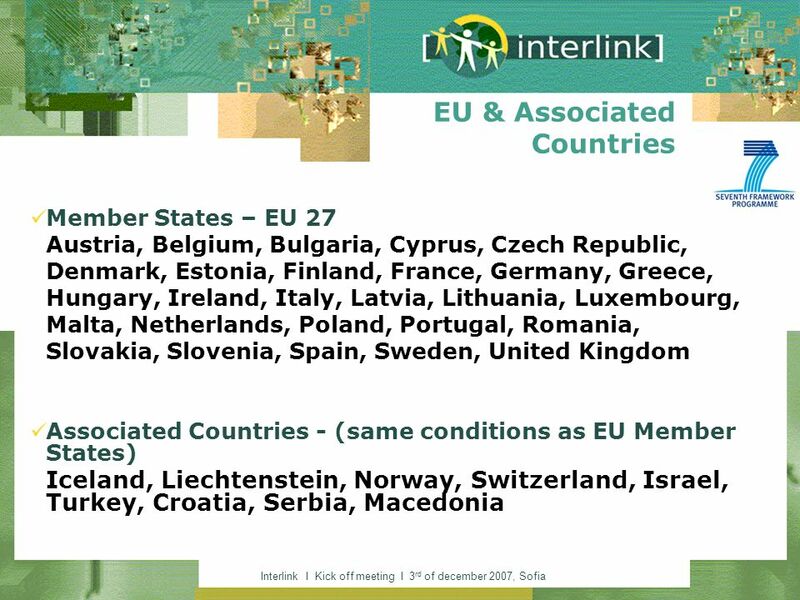 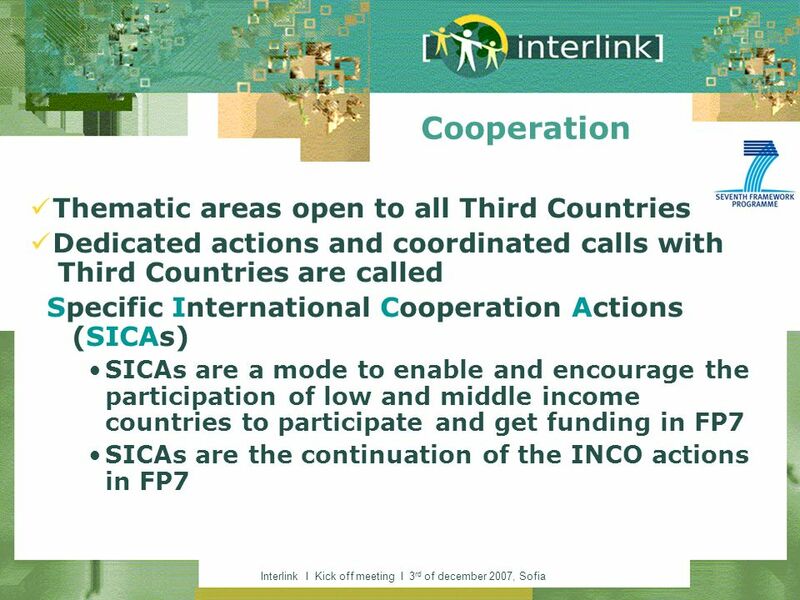 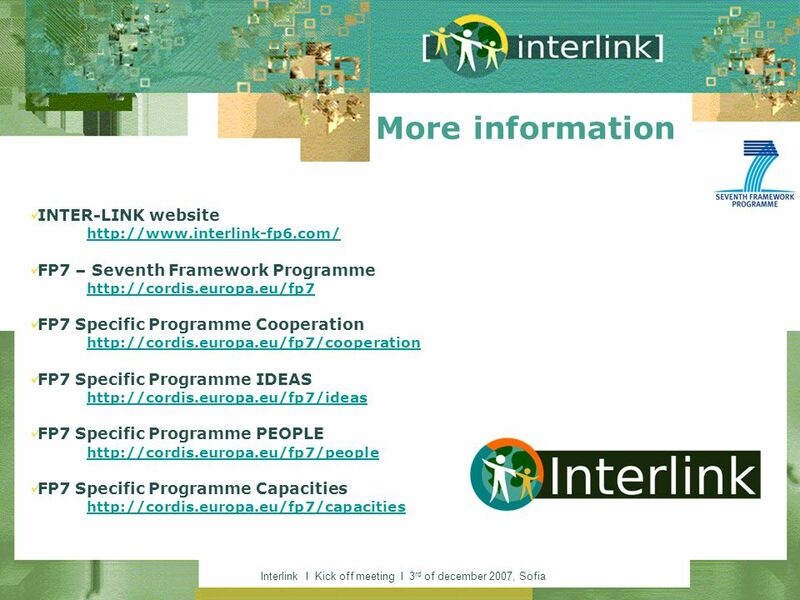 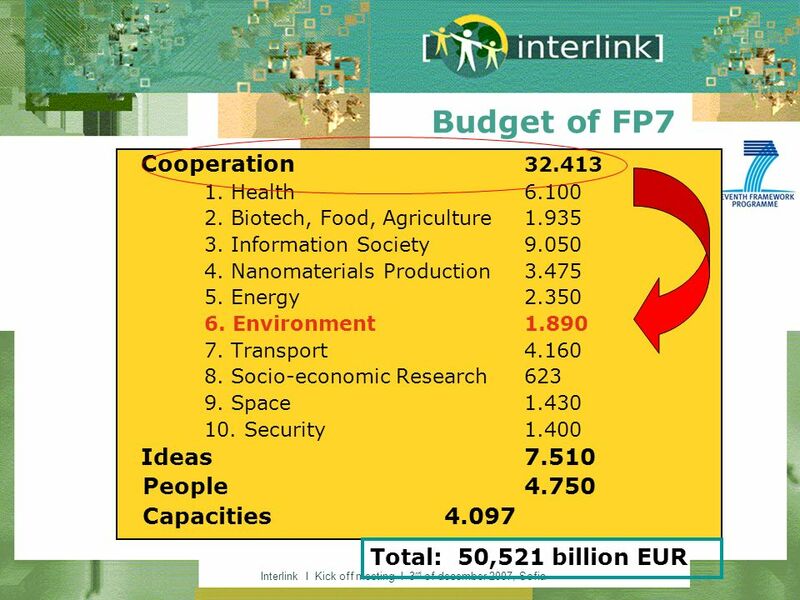 Download ppt "Interlink I Kick off meeting I 3 rd of december 2007, Sofia The European Unions Seventh Framework Programme (FP7) with a focus on the Environment Theme." 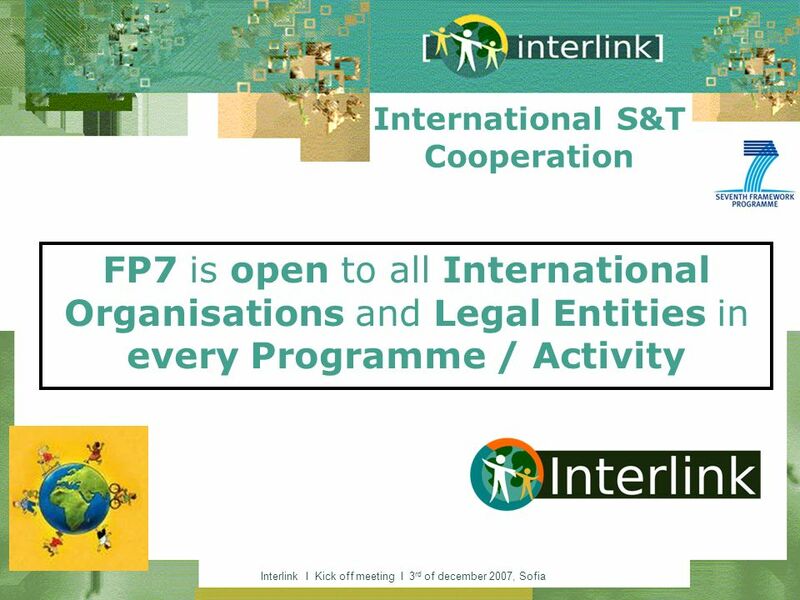 Info Day - Promoting FP7 – Theme 1 HealthFeb. 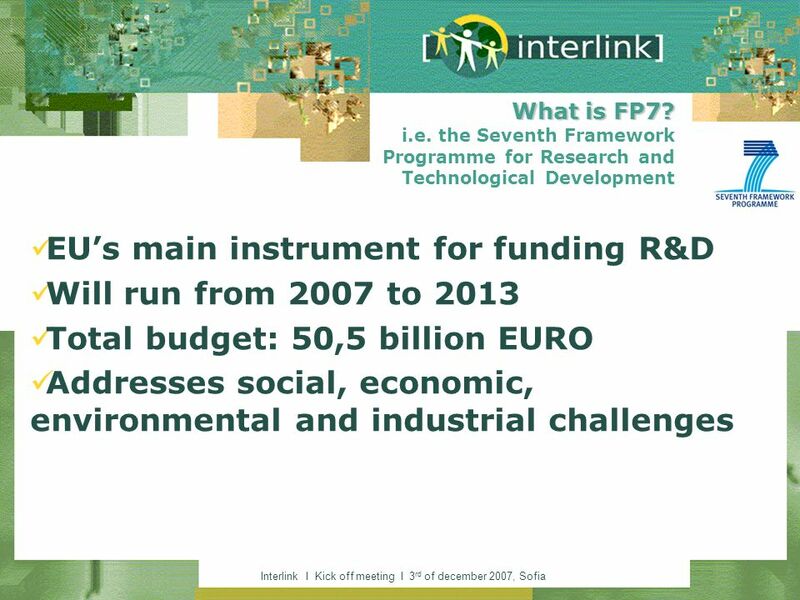 14th, 2007, Bucharest Building on the success of SMEs go Life Sciences SMEs go Health. 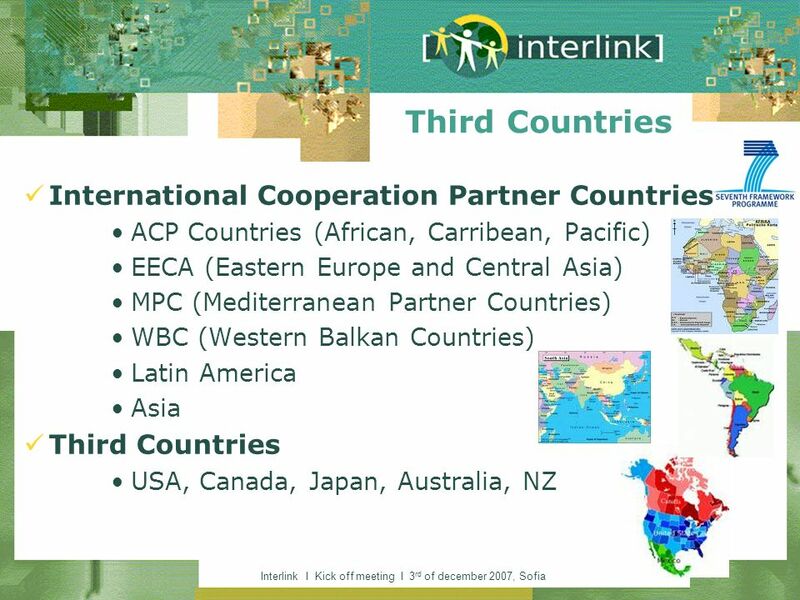 1 International ICT R&D Cooperation Virtual Forum Europe, Africa, Asia/Pacific 12 July 2007 Klaus Pendl European Commission DG Information Society and. 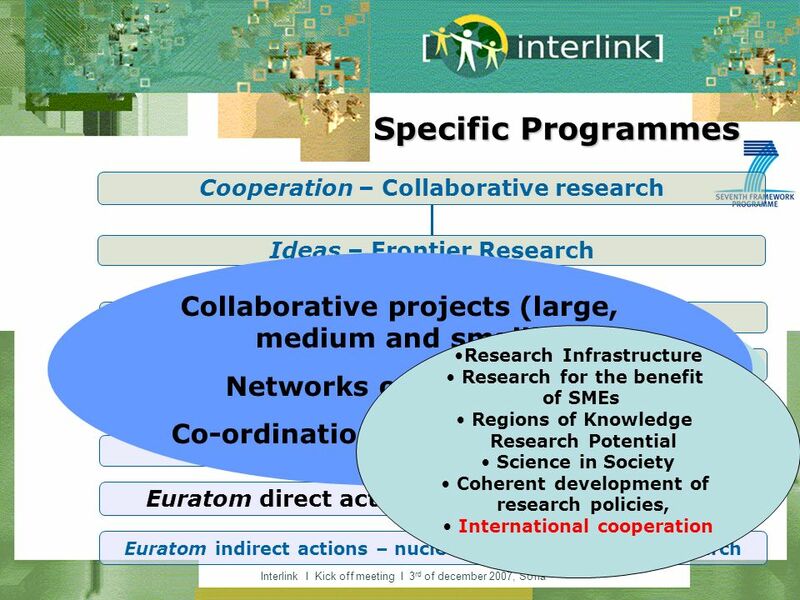 Sally Chambers, Interoperability Manager, The European Library The European Library and Europeana: an overview.